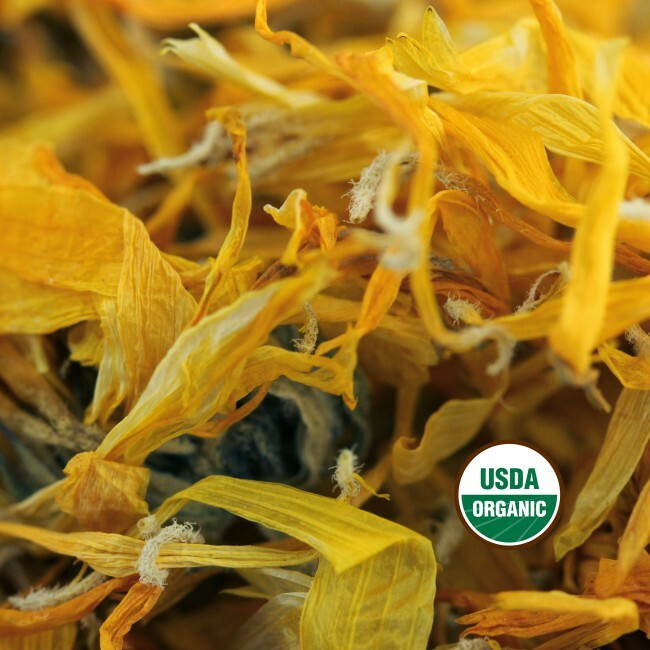 100% ORGANIC- Certified 100% Organic by OEFFA, our Calendula tea proudly bears the USDA Organic Seal to guarantee freshness and the highest quality loose leaf herbs free from pesticides and herbicides. 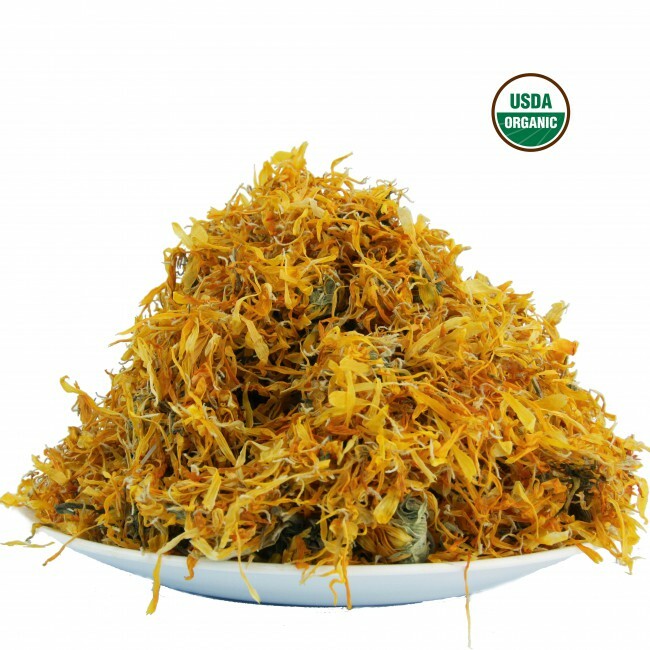 Pasked in U.S.A.
QUALITY- Only the best high quality herbs from our Egyptian farmers can make the cut. EVERY single raw LOT# comes with complete traceability and is acompanied with Phytosanitary, Origin, and Organic Transaction CERTIFICATE. Furthermore, in our facility (DOA certified facility) we employ unique serial number per each bag so that it can be traced to the very source of the product. This allows unparallel quality control. FRESH- 1 lbs bulk Kraft bag that is resealable and BPA-free. Multi layered BPA-free packaging protects from the elements and is even a gas buried for the harmful oxygen. This allows the active material to stay fresh a potent longer. FAST- Your order will usually arrive to your home in 2 to 4 business days. 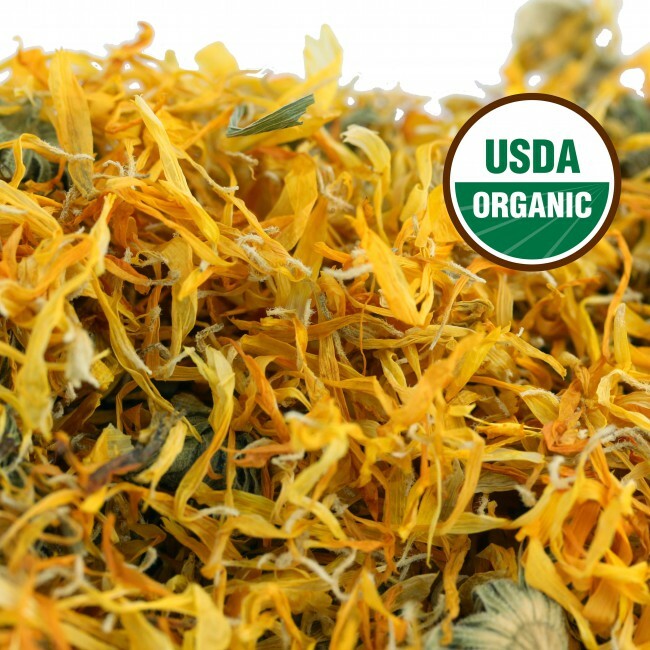 If you’re looking for an herb that will help you live a healthier all around lifestyle, than look no further then Calendula. A member of the daisy family, it is commonly referred to as pot marigold. This edible herb from Egypt has anti-inflammatory, antibacterial, antiviral, and antimicrobial properties to help snuff out any bodily intruders. The tea itself has a very mild taste with hints of bitterness. 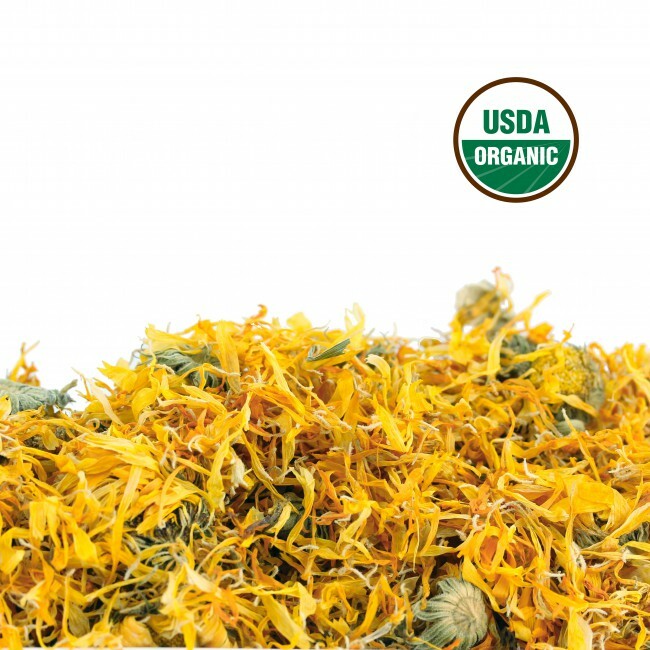 Many cultures have used Calendula in remedies for a variety of illnesses such as ulcers, hemorrhoids, and conjunctivitis over the years. 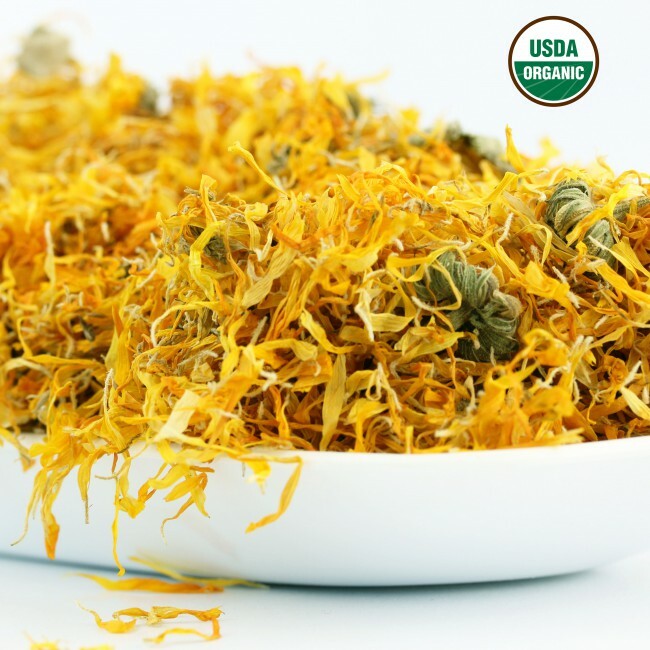 More recently, cancer centers have used Calendula as a natural method of fighting radiation therapy symptoms in their patients. U.S. Wellness offers herbal teas from several different countries including Bosnia and Egypt, we are always looking to expand. If there is a particular kind of tea you enjoy drinking, please tell us about it. We are always looking for high quality herbal teas to add to our collection. We package all of our loose leaf teas in bulk packaging so you can have complete control over every cup. Don’t get bogged down by smaller prepackaged teas. Some people like their tea stronger than others, we don’t judge. At U.S. Wellness, we just want to make sure you have the freedom to brew each cup your way. 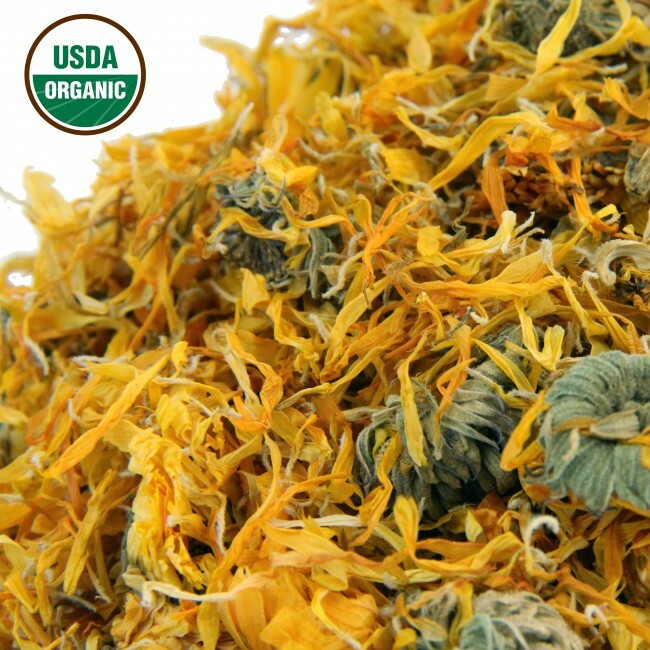 We package our herbal teas in a DOA certified facility in Ohio before shipping them to your home. Most orders take between 2 to 5 business days to arrive at their final destination, but if you can’t wait that long for the perfect cup, we offer expedited shipping services. To make the perfect cup: Boil water and let sit for 30 seconds to 1 minute. 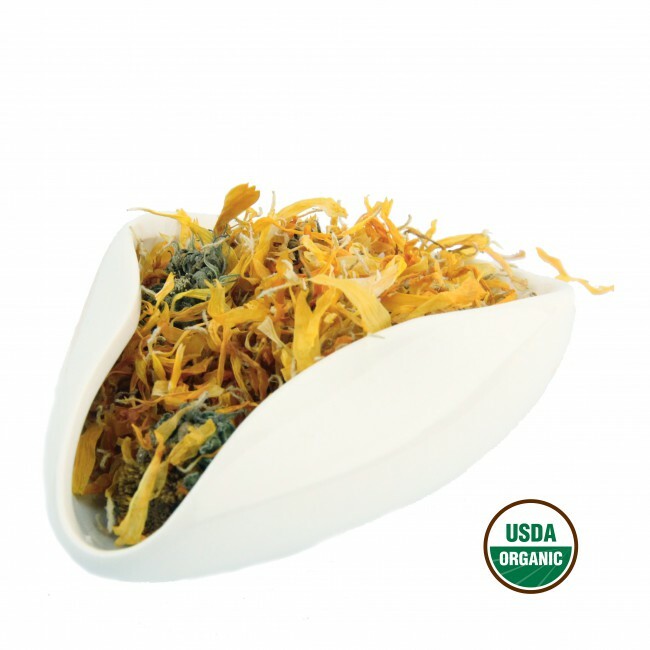 Put the Calendula in a teapot, strainer, or French press. You should use 1 Tablespoon of herbs for 8 oz of water with higher quantities of herbs for a stronger taste. Pour water over the herbs and cover the container. Steep for at least 10 minutes before serving.